Read the rest at Dissent. max the rhino is dead. 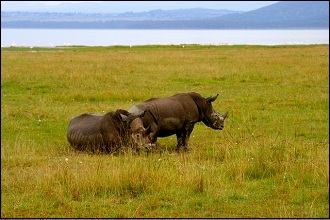 black rhinos visit another rhino's grave. photo by meera subramanian. As my seventy-six-year-old father reached out across the wire fence to touch the rhino, his face lit up like a little kid’s. 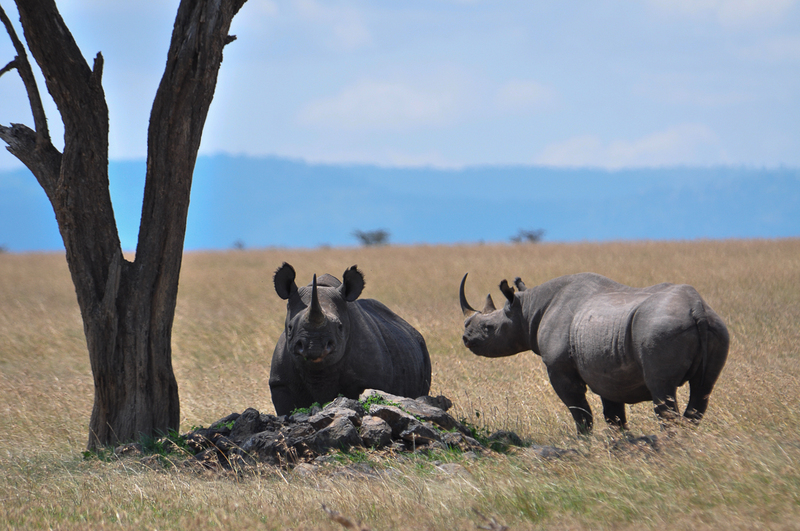 Baraka, which means “blessings be” in languages from Africa to Asia, is a black rhino at theOl Pejeta Conservancy in central Kenya, where we visited last year. He is unable to return to the wild where he was born, after losing one eye in a fight and the other to a cataract. Most of his two horns were removed to make him less appealing to poachers. Now he serves as the public ambassador for rhino conservation, mingling with the tourists and accepting their handfuls of hay. And making older men, and thus their daughters, smile. Nearby, a southern white rhino named Max lingered…. I hear from a great distance that he calls himself Harold Camping. I hear that he has studied a very old book very closely and decided that today is the day the world will end. Others believe him! I know my opinion might not count for much, but I don’t think the world will end today for the humans. There are seven billion Homo sapiens on earth, give or take, usually taking. They’re a species that like to mate, from what I’ve observed, and females are fertile every 28 days are so. It’s rumored that some pairings that have trouble with conception have various other means at their disposal to help the process, often resulting in multiple births. Each day I see more of them! That their world might end seems quite impossible! 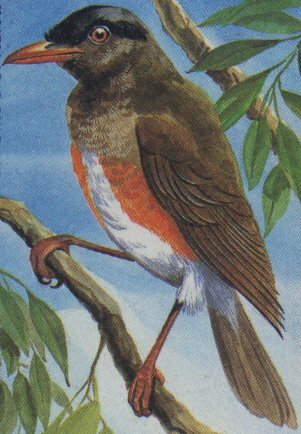 They like to give names and the one they’ve given me is the Taita thrush. I like their way of naming, but not the way they’ve come into my forest and carried it away, stealing my home to make theirs. I awoke in a cloak of sadness this Saturday, unable to sing my morning song. I have been looking for a while now for another of my kind and I think they might all be gone. I’m having the urge to nest, but without a mate, I know it will be a futile endeavor. My friends, you see, have been disappearing for a while now, apparently risen up to some other realm. Each time we’d gather, there were fewer of us. Even when I couldn’t find them, I’d hear their call, singing through the forest. And then it was just me. No one answered my song. Maybe there is another there, across the divide, too far to hear. The Taita Hills of my Kenyan land were all one once, and I suppose the ground still connects us, but the places where we live – where I live – are only four in number now, and the distance between them is too dangerous for me to travel. And I woke up not feeling so well this morning. Another post on Dissent’s Arguing the World blog…. Sunday is Mother’s Day, and—after calling my mom to tell her how great she is—I’ll be boarding a plane bound for Kenya. Meanwhile, all week long, planes have been leaving Nairobi, laden with sweet-smelling bouquets bound for mothers all over the world. Europe’s equivalent of the New World’s Colombia, Kenya provides the other side of the pond with a third of its cut flowers—88 million tons of blooming glory each year, worth some $264 million. 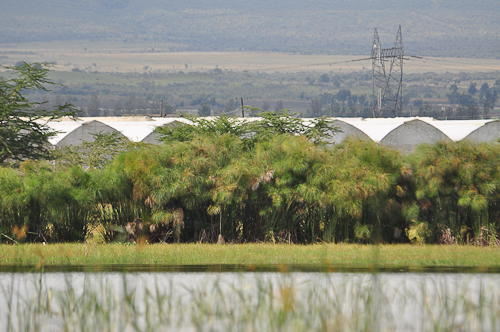 The vast majority of them are produced at one location at Lake Naivasha, the largest freshwater lake in the Great Rift Valley. I spent weeks on the shores of the lake last year, where zebras and leopards still roam, and where I’ll soon be returning. The scene there is not so—sorry—rosy. I confess. I’ve been seeing another blog. Since I’ve only gotten a smattering of words and pictures from Kenya up here, you’ll just have to visit it — ConservationMedia in Kenya — to see what I was up to in June, running around the horn of East Africa with a biologist, a photographer, and a group of undergraduate students from St. Lawrence University in upstate New York. I was asking where the owls were. 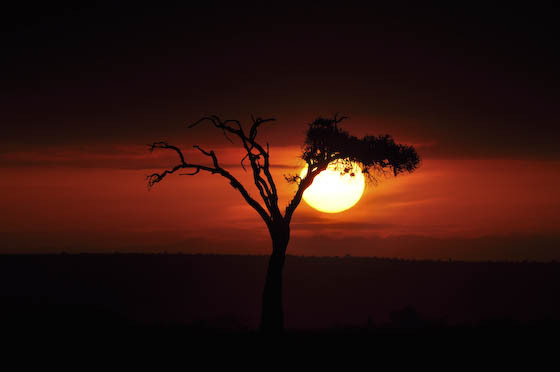 Even as the hippos snuffled outside my cabin, leopards roamed around the parking lot, and the moon waned then waxed, I never heard the hooting call of wild darkness. I listened and watched as the light drained from the sky in the Mara, as the polluted water lapped on the shores of Lake Naivasha, as the fire was lit at the GRL ranch an hour from Nairobi. Nothing. But back here in the heart of Nairobi, home comes Munir from a tennis game with his son – seven year old, just today! 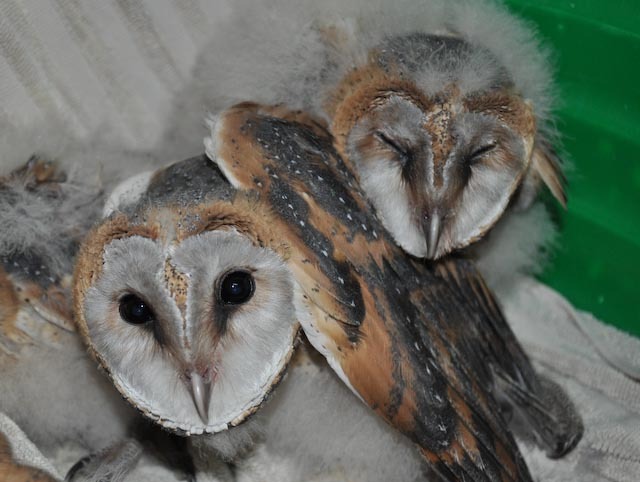 – with four baby barn owls. Their feet were tethered with twine, but at least they were alive, swept from a building site, parents long gone, delivered in a flimsy cardboard box on the back of a motorcycle to Nairobi’s raptor guy, Dr. Munir Virani of The Peregrine Fund. I know barn owls from my escapades in another city that seems far away, New York. Around this time for the past few years, I have climbed upon a boat captained by Don Riepe,official guardian of Jamaica Bay, with NYC DEP biologist Chris Nadareski and a handful of dedicated volunteers, to find the barn owls in their boxes in that precious window of time in which they are big enough to ring with a leg band but small enough to not have fledged from their box. Sometimes, as we sneak up to the sites, through poison ivy and fields littered with gull nests, we catch an unsuspecting adult. Chris holds her delicately, even as she dips a fierce talon into his palm, gauzy delicate wings the color of dappled honey and snow extending out into the sunlight. The four African cousins in the cardboard box are smaller. We can see the gradations like days of a calendar marked in down. The oldest is nearly fully feathered with its adult plumage, perhaps three weeks old, I’m estimating. Its dark eyes are alert and it sways its head back and forth in a hypnotic movement, on guard as we humans surround it. In New York, I have witnessed the siblings doing this motion in synch, hissing a strange reptilian sound in defense. But Number One.moves alone. Its three siblings aren’t nearly as strong or active. They fall one upon the other, each one more downy than the last. We pick them up and unwind the string from their talons, opening their beaks to drop in water. I clutch the smallest and can feel the sharpness of its breastbone against my forefingers, a tiny thing nearly weightless. Closer inspection reveals a wound; something has punctured it in its throat in this already catastrophic day, left motherless and homeless, a refuge at the whim of a human world both brutal and caring. Munir applies antibiotic powder to the wound in hopes of keeping infection away. They refuse the raw meat we offer, and we don’t press them for now. Let them settle into the towel-lined wash basin and rest under a warm light. Six hours later, we return from our dinner, our nyama choma cooked and seasoned and swept down with Tusker, and it is time for the owls’ midnight feeding. These are raptors, and they need their protein if they are to survive. They are still alive, and we lift them one by one to push the flesh down their gullets. Number One stands, extending its wings, but the other three take the food and then collapse again. They are young, only hints of the powerful night hunters they could become. Anything is possible. Tomorrow we will drop them at woman’s house who cares for orphans like these. There are no rehab centers in Kenya. Everything is unofficial. I have washed my hands but their smell lingers with me. It is a smell of feathers and blood and raw meat and duffy down. Of desire and connection to something addictive and unnameable. Of fear, maybe, or perhaps hope. Could they smell the same? It is late again, the only time I seem to find to write, and I hope that come morning there will still be four feathered creatures blinking at us when it comes time for the next feeding. If winged visitors visited in my dreams in the time between then and now, I wouldn’t mind at all. There are still places on earth where wild things happen. As we approached the Masai Mara in southern Kenya yesterday, the famed landscape reminded me too much of the worst of the overgrazed lands in America’s West. Masai moved across the open grasslands tending their cattle, goats and sheep. But when we entered the reserve this morning as first light brightened the sky, beating even the ticket taker to his post, I saw a sea of red-oat grass, shin-high, knee-high, thigh-high, rich with the rains, green and ready. Within moments we see two jackals, each with its own half of a small antelope. 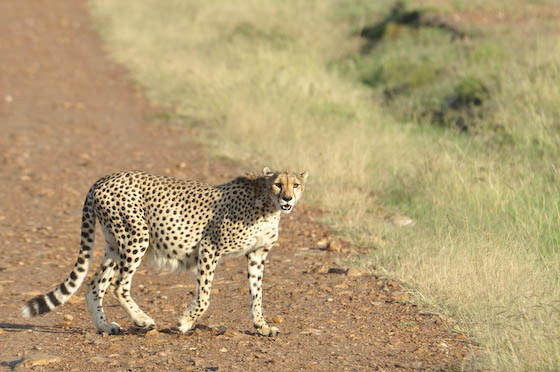 Around the bend, a cheetah sits poised, elegant, the form instantly recognizable, but REAL, there in front of me. A hunk of flesh and spotted fur within range of my camera lens and my binos, and — most importantly — my eyes that can capture the image and store it in some very special part of my cerebral matter. She stands, her belly hanging, and Teeku tells us she’s pregnant. She moves off into the grass, disappearing in perfect camouflage. She emerges and laps from a puddle. She retreats, an awesome arrogance, queen of land-bound speed. It is just the beginning. We pass an elephant with a criss-crossed tusk. A male ostrich bright pink with lust. Herds of wildebeest moving in single file. By breakfast, as we crack hard-boiled eggs on our knees under an acacia tree, the vultures are soaring. They descend to a wildebeest carcass down the hill from us as we pack up and head down the road. And then in a flurry the scavengers are chased away. Lion! One, then another. But they’re too full to eat it seems. We watch them fifty feet from our jeep, close but seeming to not disturb them. Oh the muscles defined when she tries to pull the heavy body into the grass. Oh, her panting as she stands over the body, catching her breath. Oh, the vultures waiting in nearby trees, others kettling above, ten, twenty, forty, sixty. 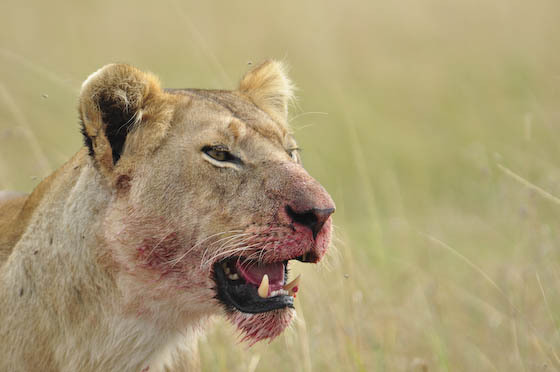 Oh, the way she passes off her guard to a second female, who emerges from the treeline, and how the second sits to eat off the rump of the fallen prey, her muzzle emerged saturated with blood. But together they have barely broken the hide. They are full, bellies hanging, disinterested. They leave, and we watch as the vultures return. In ten minutes they have gutted the creature. White-backs and lappet-faced vultures, and marabou storks fighting over the organs. 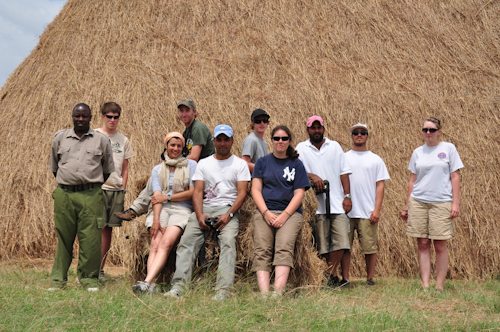 When the lions don’t return, Munir cautiously sets the trap as the students go on lion watch. Twenty minutes later, we’ve caught a white-backed vulture. Evan is out of the jeep in an instant with a blanket to cover her and loosen her talons from the noose, holds her calmly as she vomits bright red innards back out. Forty minutes later, we’ve attached a GPS unit and set her free. Into the wild. There is more. The wildebeests have begun the migration, though it is early in the season. There are thousands, grunting – humph! humph! There are warthogs, and a single mud-caked buffalo swarming with flies. There are giraffes, legs sprawled to bend down in reach of shrubs. More elephants. More wildebeest. More ostrich. More warthogs. Grey kestrels. Yellow-throated sand grouse. Crowned hornbill. Striped mongoose on their hind legs like meerkats. Lappet-faced vultures. 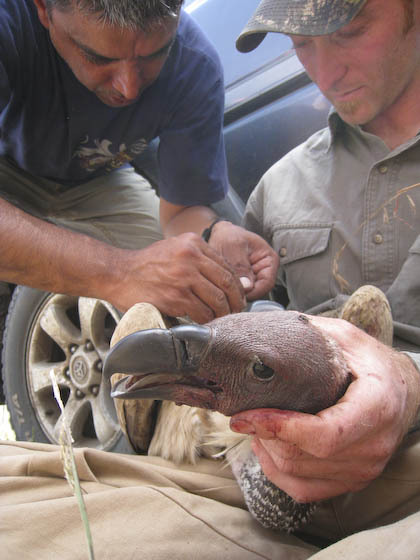 Two tagged vulture resightings. Tawny eagles. Secretary birds. Superb starlings. Rufous-naped larks. Lesser grey shrikes. Antelope. Thomson’s gazelles. A studly impala trailed by his harem. Water buck. Topis nodding to us in agreement. More wildebeest. We pass seven carcasses in just a few kilometers. Food. Food. Food drives everything and it is either abundance or death at this moment in the Mara. Grass grows. Grass gets eaten. Calves are born. Mothers are hunted. Wildebeests cross the Mara River and crocs lie in wait. Jackals kill. Jackals are robbed. Everything is immediate. Everything is now and it is late but I can barely sleep. There are still places…. I am in Kenya! The heavy droughts that decimated livestock last year have been followed by heavy rains that have carried on through the dry season. The landscape is green and rainy and cool. Each day – and there has only been one full one so far – is christmas, a bounty of the unexpected. It is a new country. A new part of the world. It has been 21 years since I have even stepped foot on the continent – even then, only a moment in Egypt, barely a week in Morocco – and 30 years since I experienced the go-slow market of Lagos, Nigeria. And, really, how long since I’ve been somewhere completely new? Return trips to India are a strange form of going home. Panama had the familiarity of Costa Rica. Was it Thailand? Eight years ago? Definitely too long. I revel in the firm futon mattress in a strange place, the fresh papaya, the fact that is is called popo. Each word is new. I have to pay attention, trying to figure the unspoken communication when the words are beyond me. Each moment there is a chance, once again, to discover the unknown that has always been. Just not for me. It is why I travel. Munir and I drive to meet Teeku. I look out the window of the vehicle as we travel through the city, observing my mild apprehension that is trying to match what I see to the scary stories about “Nairobbery.” We are in a nice section of town, granted, but even the ride from the airport, down the Uhuru Highway, just shows me people going about their lives. Most are moving from here to there and back, laden with packages, on foot, in their cars. They plaster walls, dig road-side ditches, sell newspapers or posters of chickens or a large yellow antennae that looks like a ray gun from a ’60s sci-fi movie. Drivers stay on their side of the road. Some wear seatbelts. Some do not. Some drive with their windows open. Some do not. I notice single white women with sunglasses and shorts talking on their mobiles as they walk alone down a busy street, or a white couple with a small child buying rosewood furniture from a roadside stand. I learn of the KCs – Kenyan cowboys, the naturalized white people left over from a colonial past, like cricket and tea time. In the afternoon, I go to the National Museum and smell the rich, almost tasty, smell of human sweat in the un-air conditioned halls. The dim lighting of the Hall of Mammals – an homage and tiny echo of the American Museum of Natural History – illuminates the giant elephant, the towering giraffe. I see Ahmed of Marsabit, the elephant with tusks that swooped to the ground, such a spectacle of tuskiness that Kenyans rallied the government to grant him singular protection in 1970. He spent his days with armed guards around him till he died one day of old age during his 55th year. And another display tells me that the hippo is related to the dolphin! Who knew such things? How can such creatures exist! Will I really see them, live, running, a spotted long-necked impossibility reaching up to graze on trees or a round monster lying in wait amid the lake reeds, nostrils like a submarine’s spyglass? 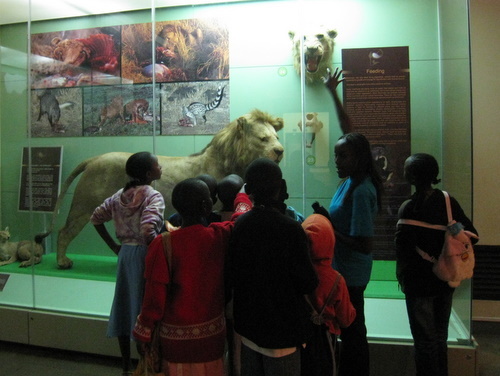 But humble as the few rooms of the museum are,, New York cannot come close to claiming the skeletons that lie in one room, found so close by in the Great Rift Valley. Fragments of bone dug out of the earth and pieced together with pinchers and glue and an insane patience to unlock some secret story about the way that we – upright, omnivorous, speaking, playing, murdering, ruminating, singing, loving, planet-seeking, planet-destroying – bipedals came to be. Hordes of school children fill the hall with their echoing calls, the universal cacophony of youth. But each group is a cha-cha-line of organization, a single file with each child in contact with the one before them. They only swarm as they crowd in around each exhibit, or as they pass me, looking up from dark faces with beaming open smiles, “Hello? How are you? !” But their gaze is as fixated when it falls upon the warthog, four times as big as them, or the the harrior hawk within the glass case in the bird room, where the scent of formaldehyde fills the head and takes away the breath. Outside in the courtyard, workers cover chairs with white fabric and arrange bouquets of blue and orange birds of paradise. Tonight, someone is getting married! Back inside, more men set up speaker systems in a great room filled with displays of gourds and maps of Kenya made out of butterfly wings. When they test the system, the music is alive, leaping across the room and infecting school boys who begin to dance with the beat. Upstairs, after the music is off again, another boy in a school group picks up the mallets and starts to play a traditional xylophone instrument as his teacher leads the others in an impromptu song about happiness that weaves between English and Swahili. I look at circumcision knives behind the glass, imagine their task, but also robes made of animal skins, slings to carry babies and charms to string around their waistlines to protect them from evil spirits, and staffs and hats and skirts and all the humdrum of daily life, from a long ago then to now, from birth till death. Here, in Africa, if we are to trust the dusty skeletons, is where it all began. There was no boy named Adam. Maybe a boy whose name began with a Ng sound or M, the lips sealed tight. Or just a woman and man, with no need for names, coming together in union. A coupling born of an unanalyzed need, neither sin nor salvation, but an act of bodies, skin-on-skin, amid the savannah or the forest of East Africa. Part of a long story that hasn’t ended, that has no beginning. Why do we need the big story of the start, or the last big cataclysm, when everything that is happening in between is so damn interesting? The next adventure begins. New York City – intoxicating, exhilarating – somehow doesn’t inspire me to peregrinate. It has become home, and so the days fill up and slip by. But I am about to head to Kenya for a two-month trip. The primary reason is to teach an environmental journalism class to a St. Lawrence University (Canton, NY) summer program. I’ll be co-teaching with Munir Virani, a raptor biologist with the Peregrine Fund and Teeku Patel, a wildlife photographer, both of whom are based in Nairobi. Together, we are leading a Conservation Media course. The goal is to teach students how to tell conservation stories through science, words and images. We’ll be spending our time out in the field around Lake Naivasha and the Masai Mara, counting African fish eagles and hippos, talking with local flower farmers, and learning about the conflict between predators and pastoralists. Not one for short trips, I’ll stay on after the program is over, and loved ones from the States (my immediate family and a sweetheart) will join me for a safari into the Samburu and over to Lake Nakuru and back down into the Masai Mara. Unsure of the internet availability, I’ll try to return to these pages as I can. Hope you’ll join me.